Item # 306060 Stash Points: 3,495 (?) This is the number of points you get in The Zumiez Stash for purchasing this item. Stash points are redeemable for exclusive rewards only available to Zumiez Stash members. To redeem your points check out the rewards catalog on thestash.zumiez.com. Get a functional and versatile design all-in-one with the Exosso Black Snapback Hat from Findlay! 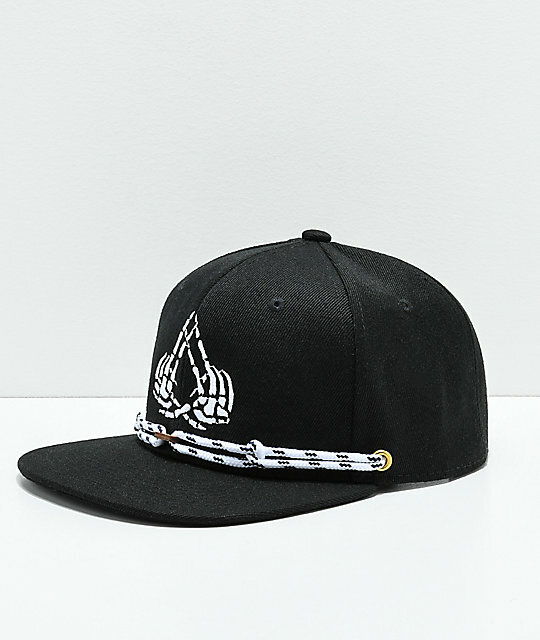 This black 100% polyester hat is embroidered with a skeleton hands Classic Findlay Triangle logo embroidered at the front panel and is finished off with adjustable drawstrings for a secure fit. 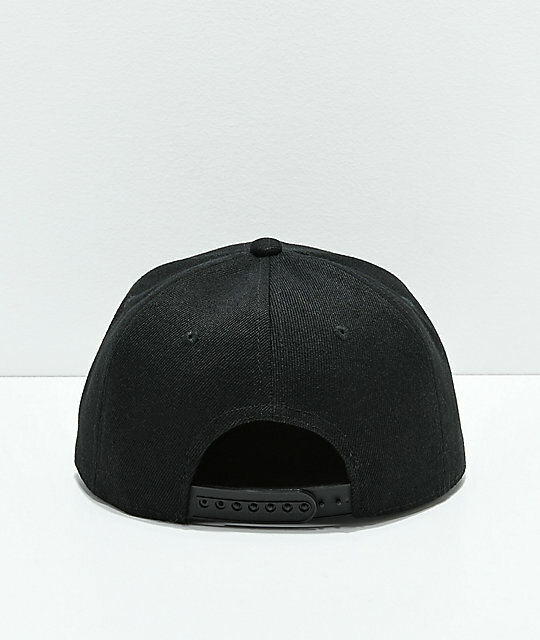 The Exosso Black Snapback Hat from Findlay. Black with Findlay embroidery at the front panel. Hidden pocket behind front panel. Laces can be can be tied in different styles & swapped out with different colors. Custom grommets, laces, hidden pockets, wood clips, embroidery & patches throughout.